Recliners provide us with the much-needed comfort whenever we want to relax at home. It is the best place where you can fall asleep, watch a TV show, read a book with ease or even cuddle your pet in a cold night while getting warm with the best space heater for your large room. As such, many people value and treasure their recliners. It is thus one of the most overused pieces of furniture. Should it happen that your recliner suffers some form of damage due to over-use, do not toss it away. It is possible for you to repair the recliner. You may decide to give a reputable furniture technician a call to come and help you with this. But, if you are the DIY kind of person, roll up your sleeves and get on with the repair! You must first be able to identify where the problem is. Once you do this, you can go ahead to take the corrective measures. 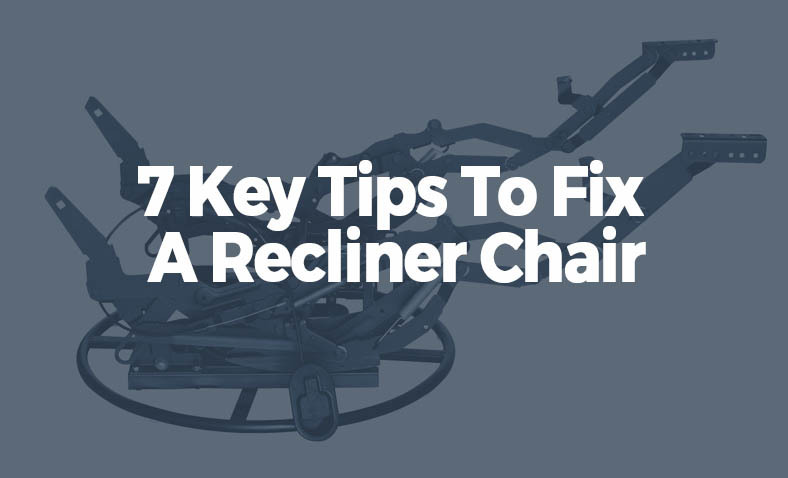 Here are 7 key tips on how to fix a recliner chair mechanism. If you don’t want to fix your old recliner, you may try to get a new recliner online. 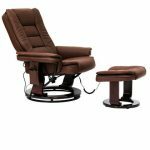 The mechanisms and cushions are what give you all that relaxation when you use your recliner. Just like any other item with a working mechanism, the recliner has springs. These springs are bound to fail with time and use. When this happens, do not panic. You need a few minutes of your time and the right equipment to have the problem fixed. You will need an adjustable wrench, a new recliner spring, and a helper to assist you (optional). Here is how to go about it. Turn the recliner upside down. Use your flashlight to locate the four bolts that hold the spring in place. Use the adjustable wrench to remove the bolts. Detach the spring from the recliner and place it on the floor, right side facing up. Using the wrench, remove the bolts that hold the footrest to the spring. Use the wrench to tighten the new recliner spring to the footrest. Attach the new spring to the frame of the recliner. Make sure to properly tighten all the bolts. Turn the recliner over to its normal position. Sit on it to test whether it now works properly. Dispose of the old spring as is appropriate. There are 3 types of recliner backs. These are backs that have locking levers, locking tabs or catches and bolted on backs. For the backs with locking levers, see to it that the brackets on the sides are well fixed. They should be flipped downwards and locked onto the metal posts of the seat when you are seated. The locking tabs or catches lock into place once you slip the back on. You can remove the bracket fasteners and tighten them to make the back more firm. Use a flat screwdriver to ensure that the tab is well placed in its slot after the back is fitted on. For the bolted on backs, loosen the lower side of the back panel. You will see the bolts underneath, which you can go ahead and remove. Refasten by ensuring that the bolts tightly hold the back onto the seat posts. Refer to the videos below for a demonstration on how to fix a recliner chair back. 3. How To Fix A Recliner Cable? You will realize that the recliner cable is faulty when the back moves up and down on its own, or it fails to recline. To solve this problem, loosen the cable stop. Then, pull and tighten the cable. Before you tighten the cable stop, ensure that it is held in place against the piston bracket. If this fails to work, turn the chair upside down. Unscrew the four bolts on the footrest, and the two that hold the squab to the frame. Remove the squab and replace the cable. You can then refit the squab. Below is a video to show this procedure. 4. How To Fix Recliner Pull Handle? A missing or broken handle can make the recliner to malfunction. The pull handle holds the footrest in position. Without it, the footrest is forced into a closed or upright position. You can actually fix the handle yourself. You do not have to engage the services of a furniture repairman. All you need is a new, replacement handle, the right tools and some bit of time. You could also do with a helper. Take the following easy steps to repair the handle. If the footrest is open, press or push it into a closed position. Turn the recliner upside down. In this position, both the headrest and armrest should be touching the ground. Detach the old handle from the recliner. Detach the escutcheon (cover that protects the handle) as well. Put the retaining screw into the new pull handle and fasten it. Flip the recliner to its normal position. The handle should hold the recliner in place. Footrests malfunction because they are stuck, refuse to lock properly or won’t stay up. If you realize damages of this nature to the footrest, please follow these steps to repair it. First, flip the recliner over so that you can have access to the underside where the screws are located. Second, locate the screw and tighten them with the right tool. You may also want to replace them if it is appropriate. If you decide to change them, consider using screws that are slightly longer than the old ones. Longer screws will get into the wood and hold the footrest more firmly in place. Also, consider tightening the footrest brackets with new screws. This ensures that they are firm enough. Once you do this, flip the recliner back to its upright position. If your footrest won’t move and is stuck in a certain position, you will need to use a lubricant to get it working again. To do this, flip the recliner over and loosen the screws attached to the frame at the bottom of the footrest. 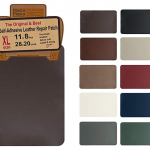 Use a cover to protect the cushion from being soiled by the lubricant. Apply the lubricant generously to all the joints. This should release the footrest from the stuck position. To loosen a footrest that is stuck and requires some adjusting, again turn the recliner over. Disassemble the bar attached to the seat front and the ratchet. Exercise the footrest to see if it responds appropriately. If it still doesn’t, the problem could be the spring. You will then have to replace the old spring with a new one. Click on this video https://youtu.be/ihbK-twkFjk to see how to fix a recliner footrest. 6. How To Fix A Recliner That Won’t Recline? Two types of mechanisms are responsible for the reclining mode of the chair. One uses a cable system. The other employs an arm to operate the reclining mode. In the first type, the most likely cause of a malfunction is a broken or loose cable. To solve this problem, follow these simple steps to fix a recliner that won’t close. Access the lever or handle by removing the cushion. Check to see if the cable is broken, or just loose. If it is broken, you will have to replace it with a new one. If the cable is loose, hook it back to the lever. Check on the condition of the lever. If it is loose, it could be the cause of the problem. Tighten the nut and bolt that holds the lever in place. A stripped lever has only one remedy. You will have to replace it with a new one. Look for parts that are bent or those that are in a weird position. Set them right by bending them into their normal positions. The above adjustments should make the reclining feature of the chair work as it is meant to. Refer to the videos below for a demonstration on how to solve the problem of a recliner that won’t close. 7. How To Fix A Recliner That Leans To One Side? Your recliner may be leaning to one side due to many reasons. It could be because one of the parts has broken down. It could be because of worn out parts that you should replace. Whatever the cause, you need to follow the following steps to carry out the repair. You need a pry bar, wood glue, and a screwdriver. Overturn the recliner so that you have access to the underside. Check to see the condition of the springs. Tighten any loose ones, and replace any that are worn out. If the springs mount on wood and the screw holes are oversized, use the wood glue as a filler to make the holes smaller. You can also use skewers or toothpicks to achieve this effect. If the springs mount on metal, tighten any loose attachments. Replace the mounting plate if it is old and worn out. The following video shows how you can fix a recliner that leans to one side. The rest of the process is easy. All you need is to equip yourself with the right information on how to fix a recliner chair mechanism. In fact, you will save a lot of money on costs if you decide to do the job yourself. You do not have to engage the services of a repairman any time a recliner problem pops up. Get the rights tools and be ready to get your hands dirty. Yet, you do not have to wait for your recliner to break down to take action. Make a habit of inspecting it from time to time. Frequently check for cracks in the frame and weakened mechanisms. Another indicator of trouble is worn-out parts. 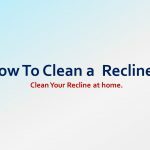 The above 7 key steps on how to fix a recliner chair mechanism should help you figure out what you need to do when you notice any recliner problem. You can resolve other related problems in the same way. Investigate the cause of the problem, and tinker with it until you get a solution. Yet, if you still find difficulties with the recliner, call a repair person. Do not allow anything to interfere with the comfort you derive from your recliner. Hi there,I was hoping you could help. I’ve unfortunately broken a locking tab/catch while removing the back of a recliner. Can you tell me where i could possibly get a replacement. Hi Dennis, sorry you broke a locking tab/catch. 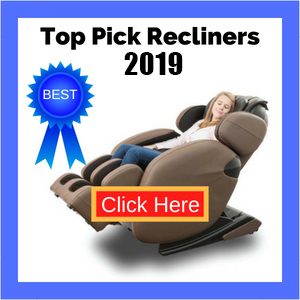 What brand and model of recliner chair do you have? The foot rest comes up but the back won’t stay back. Hello, I have a recliner sofa and the foot rest metal part is bent. Is there anyway to unbend it or do I need to replace the who thing? I lost all power to my recliner. Now it’s stuck. No power. Where can I get spare parts ? My chair has a release handle that connects to the mechanism with a 5/8″ square tube. That square tube broke, where can I get a replacement ? Hi Debra, try to put some oil on the footrest hinge. It will help, if not you will need to exchange some screws. Let me know if works. How To Fix A Recliner Cable? How To Fix Recliner Pull Handle? How To Fix A Recliner That Won’t Recline? How To Fix A Recliner That Leans To One Side?